I am linking up with Virginia and the girls to record my rocking moments. Again, at the expense of being a joy-hog there was a lot of joy to be thankful for around here this week! I would like to celebrate Mother Nature who overall is making this a mild winter. We are in t-shirts and soaking up the sun. GLORIOUS weather, and I am especially grateful since it is the winter school holidays here so children have spent a lot of time outside playing (sometimes more nicely than at other times!). The children for mostly not killing each other this week, though we have had some moments where I have wondered if any of us would survive with sanity intact. Summer of Color over at Kristin’s has been such a fun way to connect with other people and challenge myself to use colours that I would not have otherwise have chosen (especially this week’s colours that have been a struggle). I finally finished the first scarf I have ever knitted on circular needles. In the past I have struggled with knitting on circular needles (which now seems embarrassingly easy), and I love this scarf! It is slightly more turquoise green than is shown on this photo. The pattern is also super easy, and very addictive. I also had a yarn problem (on the very last row when I was casting off! ), wherein I ran out and the shop I used to go to had sold out, and I was most pleased at the FAST service I got from Great Southern Yarns (for those that live in New Zealand!). 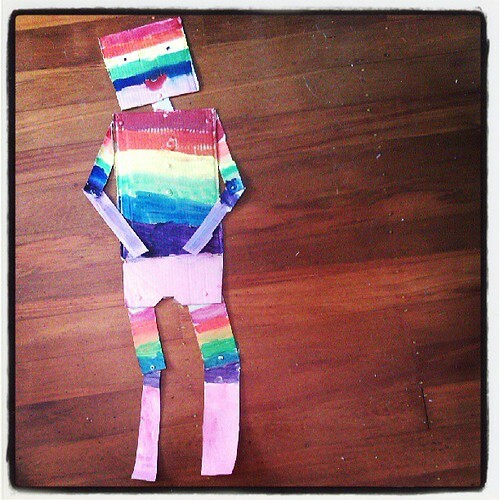 Robot construction has been undertaken this week and I am grateful for my hoardings of cereal boxes and art supplies, also the fantastic weather that allowed painting to happen outside. 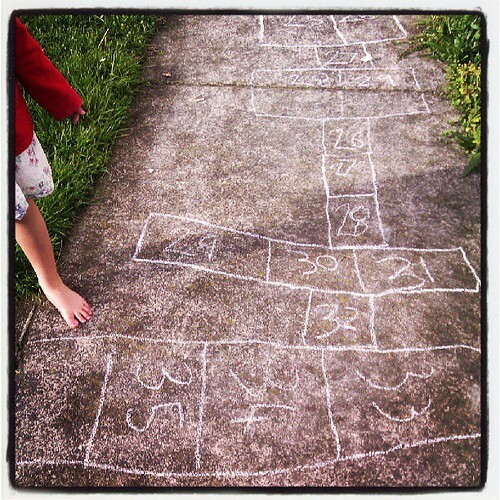 The never-ending hopscotch game was undertaken. 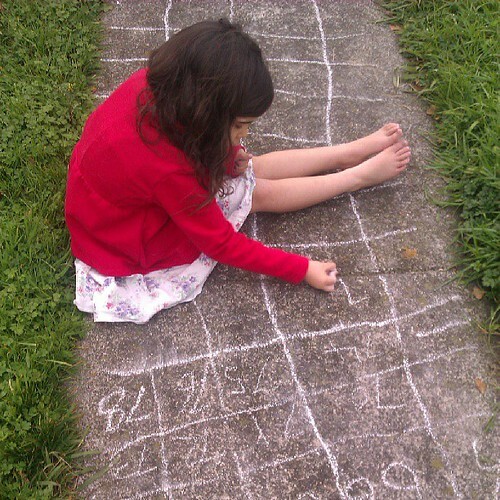 She finally got up to over 150 though some of the squares were only big enough for tip toes. 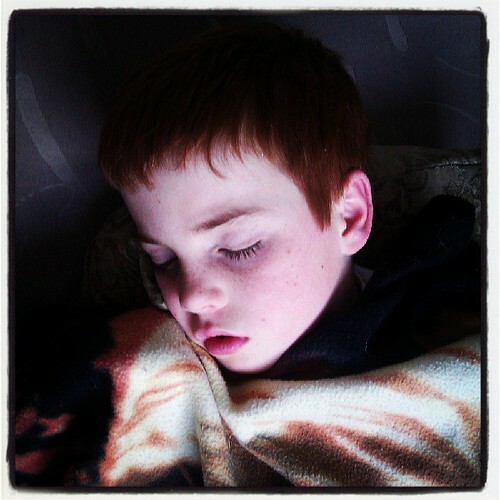 I got to soak him in as he went for a nap, he is ten in a couple of weeks, I don’t know where the time has gone, it is hard to believe he made me a mother a decade ago. I also got to marvel at his art. 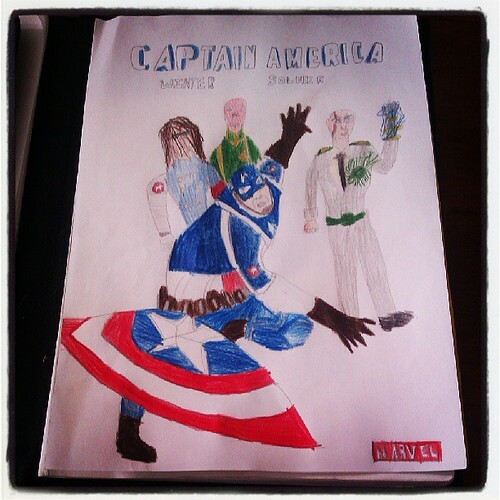 He is into comics big time and I love seeing his work develop. Creatively I am loving that Victoria and I are still both doing our index cards and I love our collections! The daily creativity sparks so many new ideas I am very grateful. 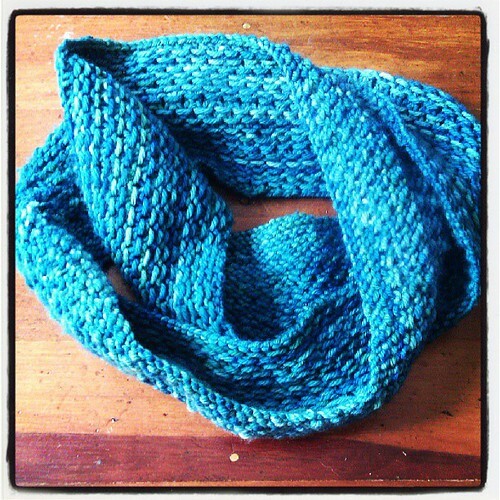 This entry was posted in Creativity, Gratitude, knitting, Life by Natasha White. Bookmark the permalink. What is it about chalk and pavements . . . kids just love it don’t they? 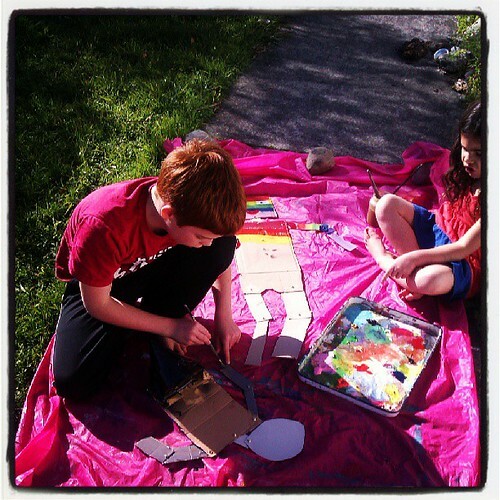 My darlings were out there with drawings, hopscotches and stepping stones as well . . . all rained away now ready for the next visit. Good for you! I know I would be excited if I was published. What a great start to the week. It looks as though the youngsters have had a good time too. the robot is wonderful as is your son’s art work. there is something about a sleep child isn’t there? Congratulations on being published! Can you show the page with your art? 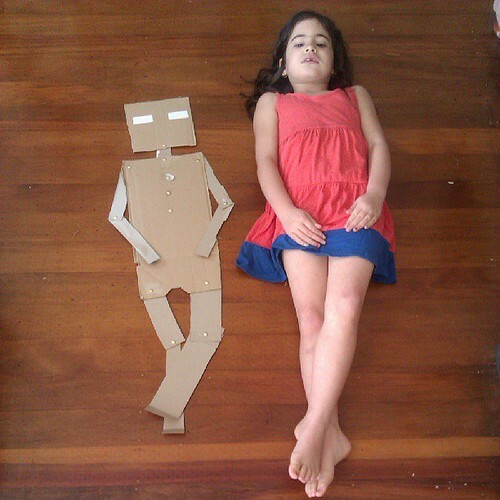 Looks like you are having lots of fun at your house :) I love the robot! 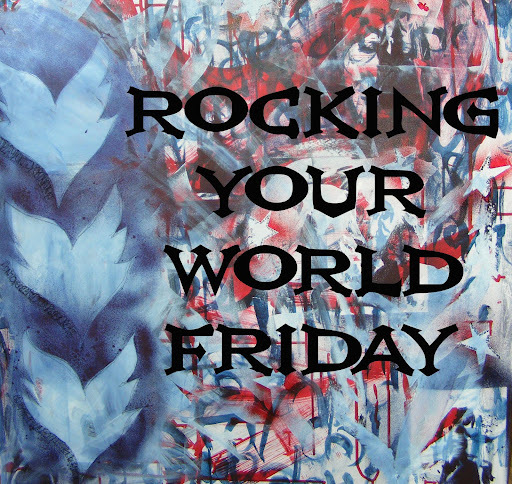 Take care, have a great weekend and another creative week at your house! I have to tell you that you are the sweetest ! To catch up with my blog posts like that and leave me lovely comments!! I also have to tell you that I shared your IG image of the robot and every single person just smiled, or giggled, or laughed out loud. Love the picture of your girl lying next to the template. It’s all FABULOUS!